Across the technology industry, companies, foundations and other organizations are taking a hard look at diversity. The OpenStack community is no exception: just 10 percent of attendees at the Vancouver summit were women. That’s why the efforts of groups like Women of OpenStack, the Diversity Working Group, as well as OpenStack involvement in the Outreachy internship program are making strides to increase diversity in OpenStack. 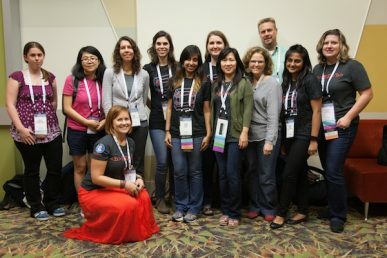 This outreach includes OpenStack participation in the Grace Hopper Celebration of Women in Computing, where members pitched in for the third year during Open Source Day workshops in October. 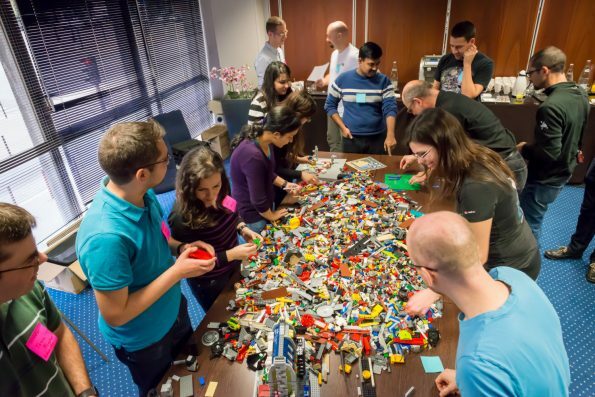 Rackspace principal architect Egle Sigler, who serves on the OpenStack board and co-chairs the DefCore Committee, comments about the OpenStack plans for Grace Hopper and other OpenStack diversity initiatives. "We’re going to be teaching people who attend our workshop how to deploy applications on OpenStack, and how to use it,” she says. Previous OpenStack workshops were very well received, she adds. "The women who participated—they were really impressed at how helpful everyone was," says Sigler. #OpenStackSummit at the first event. Women of OpenStack we are up to 11% strong! Each participant had a mentor or two at their table and could ask questions. There were 14 volunteers pitching in to help out 55 attendees. "The workshop attendees covered a wide range of experience,” according to Sigler. "We had everyone from senior level, technically- experienced women to students just starting their computer science degrees." In offering opportunities like this, Women of OpenStack offers a warm welcome to the OpenStack community, which will hopefully encourage them to join. Meanwhile, to address the issue of diversity in the OpenStack community, Imad Sousou, Egle Sigler, and Kavit Munshi created the OpenStack Diversity working group. "The rules of the committee are to try to foster and increase diversity in the OpenStack community," says Sigler. Groups like Women of OpenStack have been highly successful and the Diversity Working Group represents an effort to tackle the subject on a wider scale. Sigler notes, "They’ve been doing a great job, but we would like to see a more cohesive or comprehensive effort by the OpenStack Foundation to increase diversity." "On the Americas side, I think we’ve seen anywhere from 10 to 20 participants," Sigler says of Working-Group attendance. "Now we have several smaller working groups that have specific goals to accomplish.” Those tasks include gathering numbers on the current makeup to determine a baseline for diversity in the OpenStack community after defining what diversity looks like and crafting a survey to gather those numbers. To jumpstart these efforts, the Diversity Working Group will initially focus on gender diversity, geographic diversity, and cultural diversity. It will also oversee the development of an OpenStack Code of Conduct; a subgroup of the working group is dedicated to formalizing, updating and consolidating separate Codes of Conduct that have been used over the years at Summits and online. Setting the baseline is a start, but Sigler is already thinking about initiatives and actions. One possibility that she would like to propose to the Foundation is a way of supporting diverse attendance at events like OpenStack Days. "OpenStack Day Seattle offers free passes to diversity candidates and I was really impressed by that. I think every OpenStack day should offer that, especially if they get sponsorship from the Foundation. I think it has really great feedback and gives exposure. And yes, ultimately, people who would be considered diverse would be buying passes and going anyway, but those who may have not been able to attend will be able to attend." Conversations about diversity are not easy and often involve facing uncomfortable truths. But they are necessary and as panels and groups like these demonstrate, the OpenStack community is taking diversity seriously and working towards real change in its own statistics. 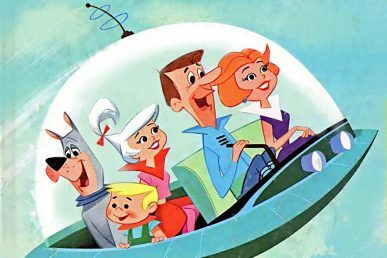 Niki Acosta of Cisco on how on the cloud computing platform is good for job security and her hopes for a “Jetsons” future.